The Grand Marquis is a mythical hipster character of McPhee’s design who “wears the blues like a custom fitted suit.” Whether McPhee and the Marquis are one in the same is open to interpretation, but one thing is for certain. 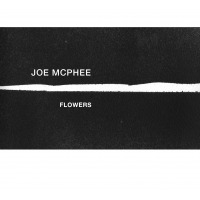 The two men are rife with common ground as McPhee covets the Blues and his passion for its varied forms constantly informs his music. McLellan organized this date to further illuminate McPhee’s affinity and share with him a host of compositions written specifically for his horn. Of all of McPhee’s instruments (and he is a master of many) his tenor is perhaps his most blues-inflected, imbued with a deep throaty resonance that tugs incessantly at the senses. 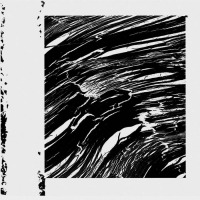 His work on tenor is on generous display throughout the nine tracks that make up this meeting and he maintains a dizzying balance of visceral energy and more abstracted extended techniques. 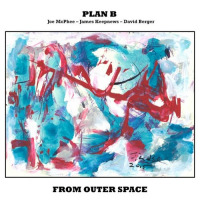 McLellan takes his role as accompanist very seriously crafting a spaciously rhythmic canvas for the saxophonist to paint broad melodic strokes across. Each piece is an encyclopedic tome of saxophonic prowess. During the course of the opening “Never the More” alone McPhee cycles through a stunning array of reed and embouchure expanding exercises. McLellan’s light traps play keeps a discernible, but never intrusive pulse behind the fireworks. On “Durt Kolphy” the pair casts a wide dynamic range with McPhee shifting between ferociously overblown honks and striated tonal swathes. McLellan annexes the piece’s concluding minutes for a muscular solo that explodes with fitful starts and stops. “Never the Less” is the balladic brethren of the disc’s opening piece and finds McPhee in a nakedly emotive mode blowing sweet strains that are shaded with a cloak of sadness. The name behind the initials on “ABL” is a mystery, but from the sensitive tack McPhee’s tenor takes on the piece they represent someone of near and dear importance to the players. Rotundly regal tenor bursts signal the start of the title track as McPhee blows thick rounded tones over the march-like backdrop of McLellan’s strident snare and glistening cymbals. “Que Phenomena,” the disc’s lengthiest track has all the power and grace of a traditional spiritual stretching a gorgeous melodic line to the perceived limits of sensuous expression and beyond. This is creative improvised collaboration of the highest caliber- the kind of music that offers an escape route from the stressful and consuming concerns of everyday life if you open yourself to its embrace. As another indispensable addition to McPhee’s ever enlarging body of work it also gives notice that the Marquis has no intention of abdicating his reign any time soon. 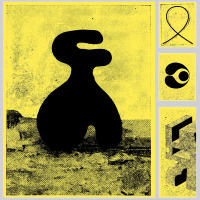 Tracks:Never the More/ Glommed/ Durt Kolphy/ The Legendary/ Never the Less/ ABL/ Grand Marquis/ Que Phenomena/ Odo’s Return to the Link. 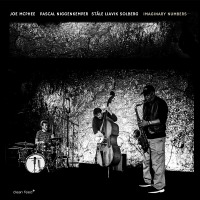 Personnel: Joe McPhee- tenor saxophone; Johnny McLellan- drums. Recorded: August 23, 1999, Persona Sound Studio, Framingham, MA.